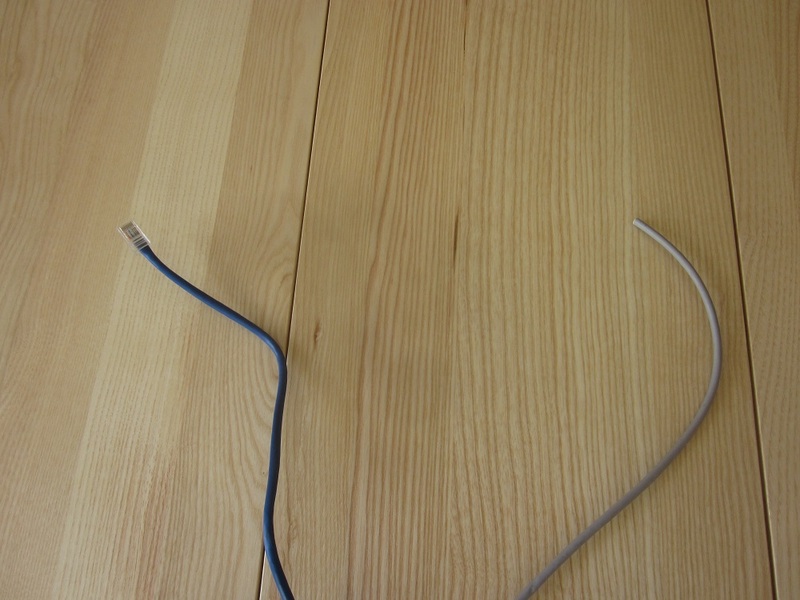 Here are 2 cables. 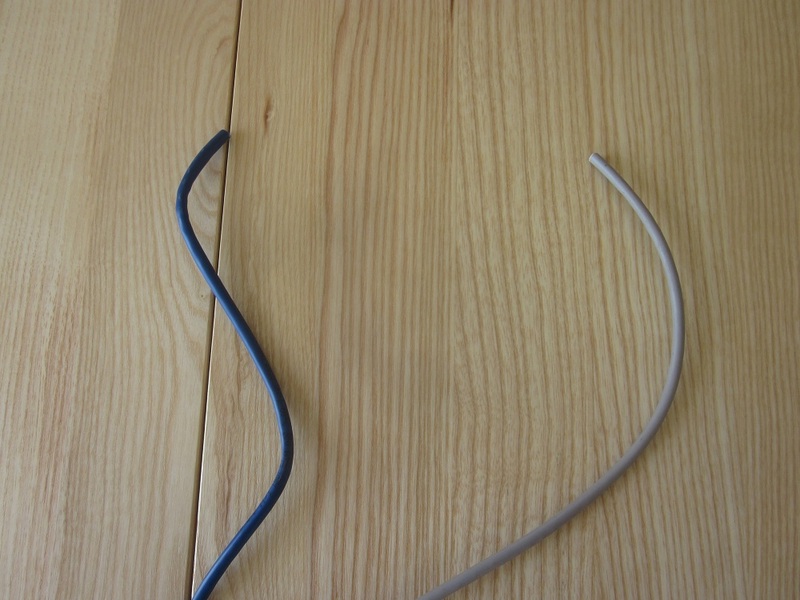 The blue cable on the left is a stranded patch cable, and the grey cable on the right came from a roll of solid cable. Since the blue cable has a plug on the end, that’s a big hint that it’s stranded. However, if you’re making your own patch cables then you could buy a big roll of stranded cable, then cut off the length that you need. 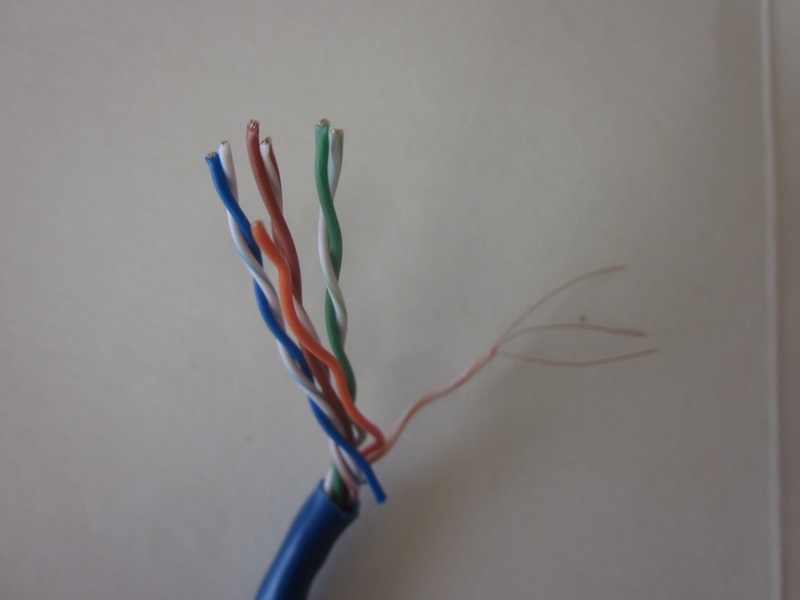 If you’ve found/inherited a roll of cable like that, you might need to identify it. So, I’ve cut off the network plug to make the cables look more similar. 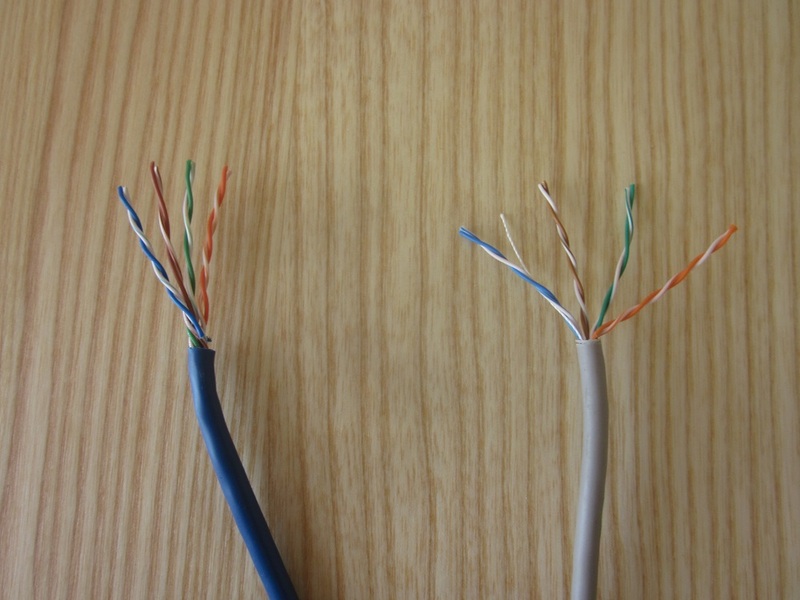 This is why both types of cable are classed as UTP (Unshielded Twisted Pair). 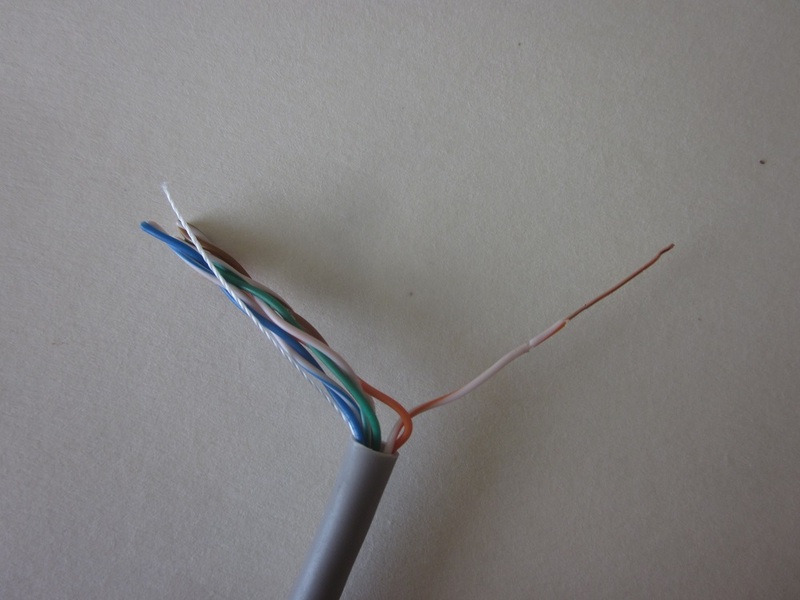 The grey cable also has a piece of thread inside; you can use that to help you remove the outer sheath. 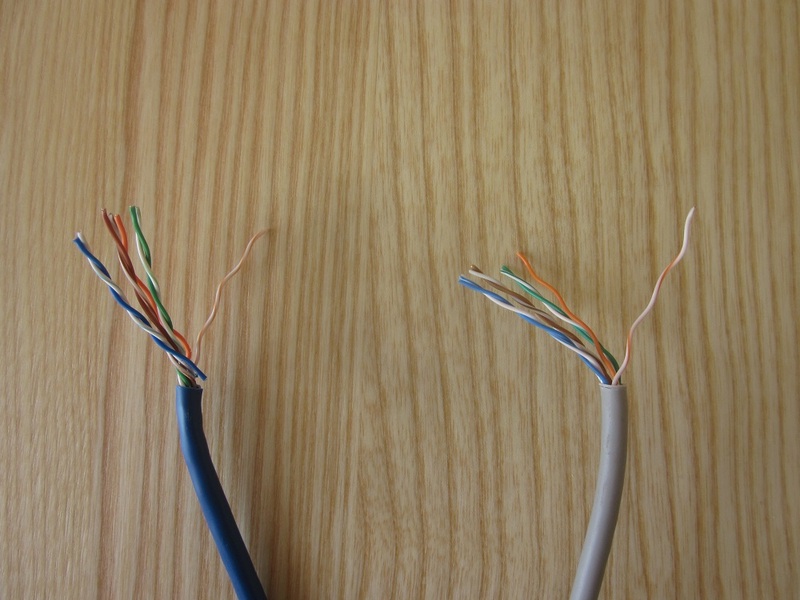 Pick one of those pairs at random, then untwist it and pick one of the thinner wires from that pair. In this case, I’m looking at the orange/white wire inside each cable. I’ve swapped to a different background and zoomed in on each cable so that you can see more detail. 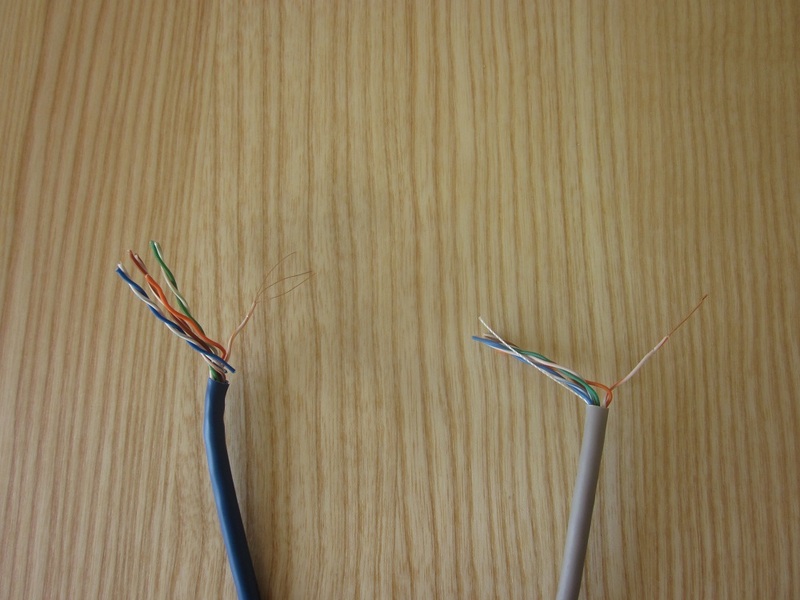 The blue cable has several thin copper wires (strands), whereas the grey cable has one solid copper wire. So, that’s the difference between solid and stranded. It makes logical sense, but I think it’s useful to see it and understand it rather than just memorising definitions.